Teaching Coping Skills - I Love ABA! I covered this topic a little in my Top Ten post, but coping skills are often a skill deficit I see across many of my clients regardless of their age or cognitive ability. In the very young clients this may look like a screaming tantrum, and in the older clients it may look more like kicking holes in the walls of their home. 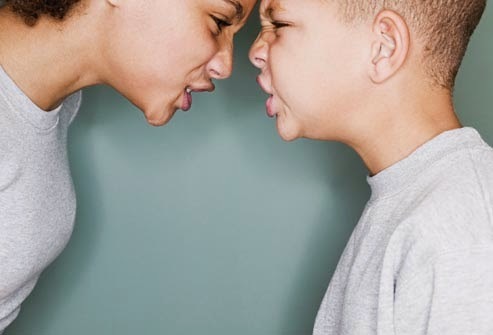 The same issue is fueling both outbursts: challenges with Emotional Regulation. Coping skills teach the skills of self-management, labeling one’s own emotional state, controlling impulses, engaging in thoughtful behavior, and making good choices. Despite how it may appear, most of these kiddos don’t go from “0-60” in the blink of an eye. Emotions have been simmering inside and building, sometimes for hours, sometimes for days, and what you or I may consider a harmless event can set the child off. So to anyone observing, it would seem like the behavior came out of nowhere. 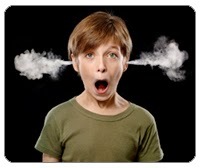 My verbal clients will often tell me about behavioral outbursts they had, and something that happened sometimes days before the outburst was a trigger. Maybe a kid at school called them a name, and they perseverated on that for days before exploding at home when they were told to turn off a video game. Kiddos who have difficulty regulating their emotional state are easily triggered. There are many, many things that cause them to become frustrated, angry, or upset, and sometimes these triggers change without warning. For example maybe Chris usually gets upset when babies cry on TV, and then one day at the mall a baby in a nearby stroller sets Chris off into a full meltdown. It isn’t unusual that triggers grow, or generalize, to the point where parents or teachers can spend the whole day putting out behavioral fires or desperately trying to eliminate stressors from the child’s environment (which in some settings, is nearly impossible to do). This can put an incredible amount of stress on the caregivers. Most functioning adults have a variety of coping skills that are used every day, across a variety of situations. We all have things we do when we feel ourselves getting stressed at work or irritated with our spouse. Most of us don’t need someone to tell us to go “calm down”. This is because we have the ability to identify what triggers us and make a decision about how to handle it. Unfortunately individuals with Autism may not have this ability. I sometimes describe this to a family by saying that when their child gets upset, they open a cabinet of options in their mind filled with choices like “break something”, “hit my brother”, or “punch a wall”. So saying to that child that they need to “make better choices” when they are angry doesn’t mean anything, because they don’t KNOW any other choices to make. So my job is to fill up that mental cabinet with multiple appropriate choices for the child to choose from when they need to calm down. Helping kiddos learn coping skills can’t just be about what to do when the problem behaviors occur. There has to be a focus on preventing the behaviors, and practicing the strategies both when the child is calm, and when they are escalated. Use prompting and reinforcement to teach the strategies to the child, and help them to understand that not being in control of their emotions has consequences (disciplinary action at school, losing privileges at home, being removed from a preferred Community location, etc.). Here are some helpful strategies for teaching coping skills. This information may need to be modified depending on the age of the individual, and cognitive ability. Silent counting – Tell the individual to close their eyes and count to 10 or 15 in their head. This can provide the individual with needed time to quietly calm down, and can give them something to focus their thoughts on. Teach hobbies – Teach the child leisure skills or hobbies that they can engage in when they begin to escalate and need to “take a break”. Examples include writing in a journal, doing a crossword puzzle, playing Solitaire, doing a puzzle, stringing beads, or folding clothes (this can be very calming for some kiddos and it is also a helpful life skill). Meditative Deep Breathing – Have the individual breathe in deeply as he or she says “Calm in”, hold the breath for a moment, then release the breath slowly as he or she says “Anger out”. Repeat. Close Eyes & Imagine- Close eyes and imagine a peaceful scene. The teacher or parent will narrate a peaceful scene (or remain quiet if the child prefers). For example, “We’re at the beach watching the waves go in and out…in and out…in and out. The sky is so blue, and the sun feels good on your face”. Progressive Muscle Relaxation – Practice tightening and then relaxing various muscle groups from the toes all the way up to the head. Clench/tighten the muscle group tightly, hold for 3 seconds, and release. Repeat. Slow Stretching – Stretch arms over head, to the side, and down to the floor for a count of 5 seconds. Repeat. Exercise – Take a walk, do yoga movements, run on a treadmill, do 10 jumping jacks. Distraction – Put the child on task, by having them complete a simple motor activity that does not require language (even a verbal child may be unable to communicate once they are escalated). Examples include: coloring, blowing bubbles, squeezing objects, sorting items, filling a container with blocks, etc. Write down/Draw a picture of how you feel – Encourage him/her to write down words that describe how he or she feels, or to draw a picture. Fast/Slow – Have Him/her complete simple motor actions very quickly, and then very slow. Examples include rubbing hands together, squeezing thighs with palm of hands, making and releasing fists, etc. Whisper Only – Sit (or lay down) in a darkened area with him/her and speak only in whispers. It may be helpful to let the individual lay down on pillows or across a bean bag chair. Rhythmic activities – Bouncing, rocking, jiggling, pacing, swinging (it is important not to inadvertently teach the child that engaging in problem behavior is how to request these activities). Listen to Music with Headphones – Allow him/her to listen to calming music in a darkened room with headphones/earbuds on. It may be helpful to also allow the individual to wear a blindfold/eyemask. Just became a BT. Have little to no real experience at this moment, and I reference this site constantly. Though only half the time it's work related. Other times it's involving kiddos and even fully functioning adults, and most often myself that I come here to learn techniques and ideas for. So incredibly useful. Many of my fellow new colleagues, and you have inspired me to go back to school to learn more. So glad the blog has been a helpful resource for you, thank you for commenting!